To protect Russians against the “collapsing US debt pyramid”, a Russian legislator has filed a draft bill to ban circulation of the currency in Russia. Once a Moscow mayoral hopeful, Mikhail Degtyarev, 32, likens the US dollar to a worldwide ponzi scheme which he says is scheduled to end in 2017. “If US national debt continues to grow at its current rate, the dollar system will collapse in 2017,” the submitted draft legislation says. The bill would impose a ban on dollars within a year of its passage, and any private citizen holding accounts in dollars would either need to spend the money or convert it to another currency. There is no proposed ban on the euro, British pound, yen, or yuan. If one doesn’t exchange or transfer dollars within a year, the dollars will be seized by officials, and reimbursed in rubles within 30 calendar days. China just dropped an absolute bombshell, almost entirely ignored by the mainstream media. The central bank of China has decided that it is “no longer in China’s favor to accumulate foreign-exchange reserves”. During the third quarter of 2013, China’s foreign-exchange reserves were valued at approximately $3.66 trillion. And of course the biggest chunk of that was made up of U.S. dollars. “It’s no longer in China’s favor to accumulate foreign-exchange reserves,” Yi Gang, a deputy governor at the central bank, said in a speech organized by China Economists 50 Forum at Tsinghua University yesterday. The monetary authority will “basically” end normal intervention in the currency market and broaden the yuan’s daily trading range, Governor Zhou Xiaochuan wrote in an article in a guidebook explaining reforms outlined last week following a Communist Party meeting. Neither Yi nor Zhou gave a time frame for any changes. The Shanghai Futures Exchange (SHFE) may price its crude oil futures contract in yuan and use medium sour crude as its benchmark, its chairman said on Thursday, adding that the course is speeding up preparatory work to secure regulatory approvals. Peter David Schiff is an American businessman, investment broker, author and financial commentator. Schiff is CEO and chief global strategist of Euro Pacific Capital Inc., a broker-dealer based in Westport, Connecticut. Will Obama become a dictator? The time has come to end presidential term limits, because continuing the restrictions on how long one can serve in the country’s highest office is bad for the United States, a university professor argued this week. In an opinion piece published in the Washington Post, Jonathan Zimmerman, a history and education professor at New York University, says deciding whether a president deserves a third, fourth or more terms should be left to the American people, not the 22nd Amendment to the Constitution, which placed a two-term limit on the position. AS IF THE AMERICAN PEOPLE CHOOSE WHO IS PRESIDENT! House Democrat Serrano tries to alter Constitution, end presidential term limits. What do you think will happen, not if, but when the dollar collapses? What is FEMA for, their everywhere; are you naive enough to believe they are here to help us? What the Media is Not Telling You About Future Lead Ammo Shortages http://freedomoutpost.com/2013/12/media-telling-future-lead-ammo-shortages/#! The document PDF above which is dated 2006 and was used for a self-learning course at the U.S. Army Military Police School at Fort McClellan, makes it clear that the operations described in the manual apply to both “CONUS and OCONUS,” meaning inside the Continental United States and outside the Continental United States. Understand this: There are those within their ranks who would turn on their oaths and forcibly seize the very rights our Founders fought so hard to preserve without giving it a second thought. 1. The only guns permitted will be the following: Smoothbore or Rifled muzzle-loading blackpowder muskets. No 7-11 in history has ever been held up with one of these. Double-barrel breech-loading shotguns. Hunting with these is valid. Bolt-action rifles with a magazine capacity no greater than five rounds. Like I said, hunting is valid. But if you cannot bring down a defenseless deer in under five rounds, then you have no fking reason to be holding a killing tool in the first place. 5. We will initiate a nationwide “buy-back” program, effective immediately, with the payouts coming from the DoD budget. This buy-back program will start purchasing weapons at 200 percent of their face value the first year, 150 percent the second year, 100 percent the third year. Thereafter there will be a 10 year pause, at which point the guns can be sold to the government at 10 percent of their value for the next 50 years. Military Police Leak FEMA Gun Confiscation and Martial Law Plans. Executive Order 11000: Allows the government to mobilize civilians into work brigades under government supervision. Executive Order 11004: Allow the Housing and Finance Authority to relocate communities, build, new housing with public funds, designate areas to be abandoned and establish new locations for populations. FEMA and homelessness, their the first to go. Executive Order 10993: Allow the government to take over all modes of transportation and control of highways and seaports. 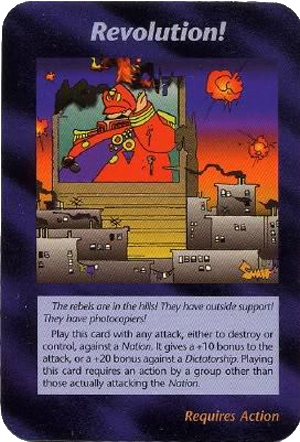 Executive Order 10997: Allows the government to take over all electrical power, gas, petroleum, fuels and minerals. Executive Order 10998: Allows the government to seize all means of transportation, including personal cars, trucks or vehicles of any kind and total control over all highways, seaports, and waterways. Executive Order 10999: Allows the government to take over all food resources and farms. 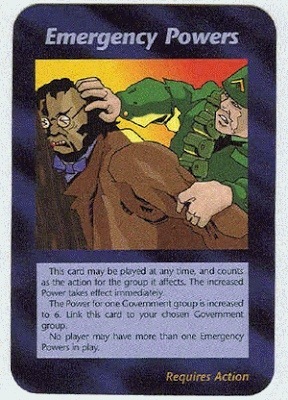 Executive Order 11001: Allows the government to take over all health, education, and welfare functions. Executive Order 11003: Allows the government to take over all airports and aircraft, including commercial aircraft. Executive Order 11005: Allows the government to take over railroads, inland waterways, and public storage facilities. Executive Order 11051: Specifies the responsibility of the Office of Emergency Planning and gives authorization to put all Executive Orders into effect in time of increased international tensions and economic or financial crisis. Executive Order 11310: Grants authority to the Department of Justice to enforce the plans set out in Executive Orders, to institute industrial support, to establish judicial and legislative liaison, to control all aliens, to operate penal and correctional institutions, and to advise and assist the President. Executive Order 11049: Assigns emergency preparedness function to federal departments and agencies, consolidating 21 operative Executive Orders issued over a fifteen year period. 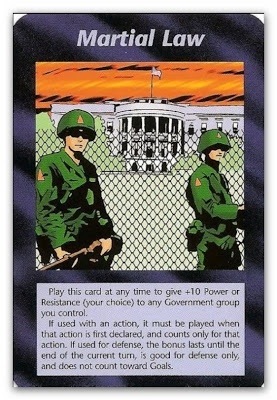 Executive Order 11921: Allows the Federal Emergency Preparedness Agency to develop plans to establish control over mechanisms of production and distributions, of energy sources, wages, salaries, credit, and the flow of money in US financial institution in any undefined national emergency. It also provides that when a state of emergency is declared by the president, Congress cannot review the action for 6 months. The Federal Emergency Management Agency has broad powers in every aspect of the nation. General Frank Salzedo, chief of FEMA’s Civil Security Division. I don’t have a microchip in my head yet, says the man charged with transforming Google’s relations with the technology giants human users. But Scott Huffman does envisage a world in which Google microphones, embedded in the ceiling, listen to our conversations and interject verbal answers to whatever inquiry is posed. Google believes it can ultimately fulfil people’s data needs by sending results directly to microchips implanted into its user’s brains. Research has already begun with such chips to help disabled people steer their wheelchairs. His current priority is utilising Google’s Knowledge Graph, an expanding store of information holding 18 billion facts on 60 million subjects, to deliver a more human search response. Voice-based search requests are more complex than the two-word searches typed into the search engine. Will the NSA have access to all our conversations? Yes. Will these micro chips be able to scan and decode our brainwaves? Im pretty sure. I like to make the argument, that the CIA is centuries ahead in technology; Why? CNN, called CIA News Network by GLPers and conspiracy theorists, Tells the public the the CIA is just several decades ahead in technology than the rest of the world. Would the CIA really be honest with us? How far are then when it comes to decoding brainwaves and how long has this technology been available? Telepathy is possible via the Pineal gland, is that where the chip will be implanted? Once the sheeple are sent to their “re-education”, or brainwashing camps, they will be chipped with what christians call, the Mark of the Beast (666) in either a Micro Chip or a electronic tattoo chip. I think this picture speaks volumes about what the plan is for this thing. It’s not RFID chips people, it’s going to be this. Most people are hesitant with RFID chips, but something so simple that you put on your hand wouldn’t raise alarms with most people. The sample picture has the mark in the middle of the guys forehead. It’s almost like a jab against Christians. Once we have the RFID Chip what kind of money will we be using?